There was a great buzz in the camp at our recent meeting as Judy Locke’s family has kindly donated a huge amount of craft materials including lots of tatting/crochet cottons and shuttles. We were all like “kids in the lolly shop” ferreting through all the boxes. Our library also benefited from receiving a historic tatting dictionary as well as many other welcomed editions of books some of which will be shared with our Newcastle branch. In addition, we also donated quite a few boxes of Turkish cottons to the ladies in the Lace Study Centre at the Power House museum and the remainder of craft items to Crowle Home (Achieve). There was something for everyone so I hope you all managed to bag a bargain. The Tatters’ Guild would like to thank Judy Locke’s family for their kind donation! Thank you for thinking of us. From the sale of goods we managed to raise over $300 for the Guild. 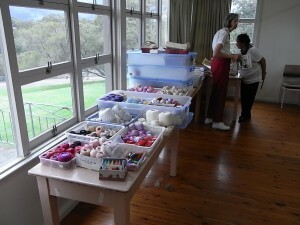 For those who weren’t able to attend our February 2013 meeting there will still be lots of cottons and shuttles to choose from when you next attend. We had a lovely visitor – Ann, an experienced tatter, visit us for the first time and show us her accomplishments. 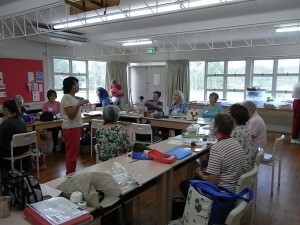 Ann has completed some lovely pieces and was welcomed by all members. 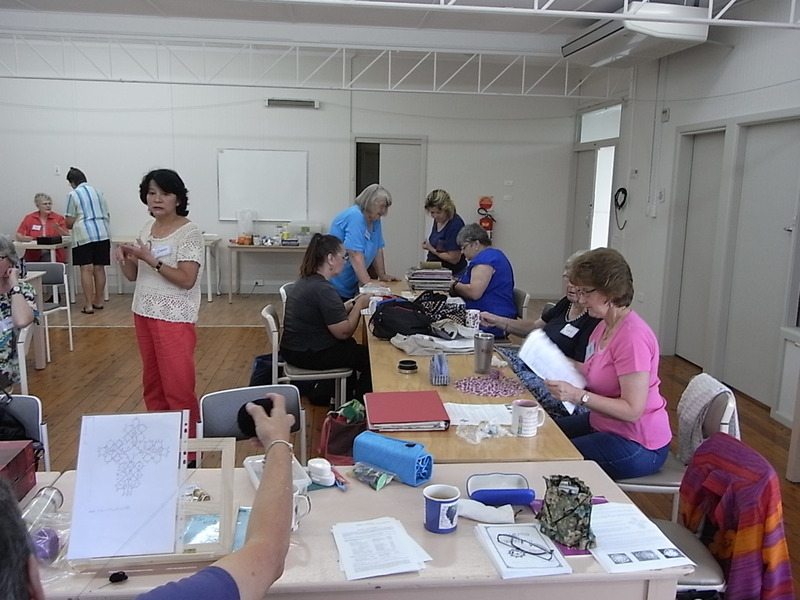 The Darling Harbour Craft and Quilt Fair will be on around the long weekend in June 2013 so if you are able to volunteer to demonstrate tatting we would appreciate members assistance. Would you kindly get in touch with Shirley, Show Director, if you are able to volunteer.